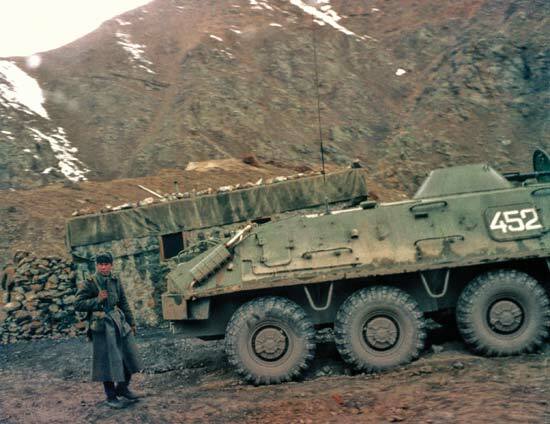 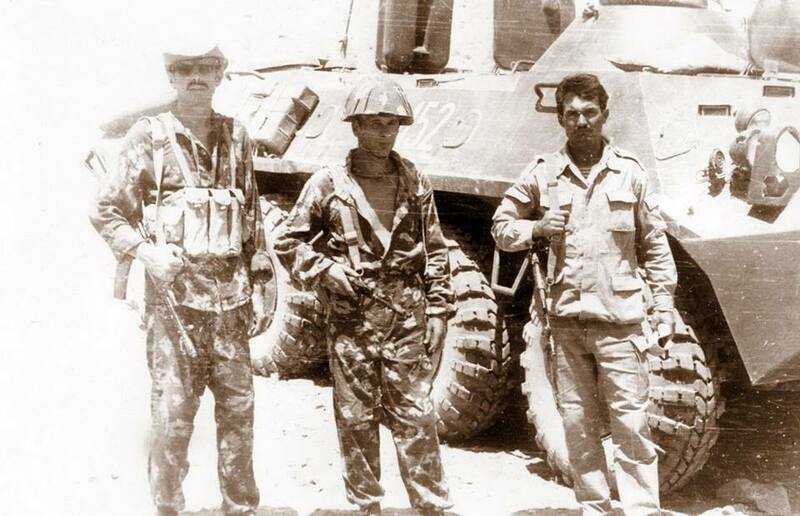 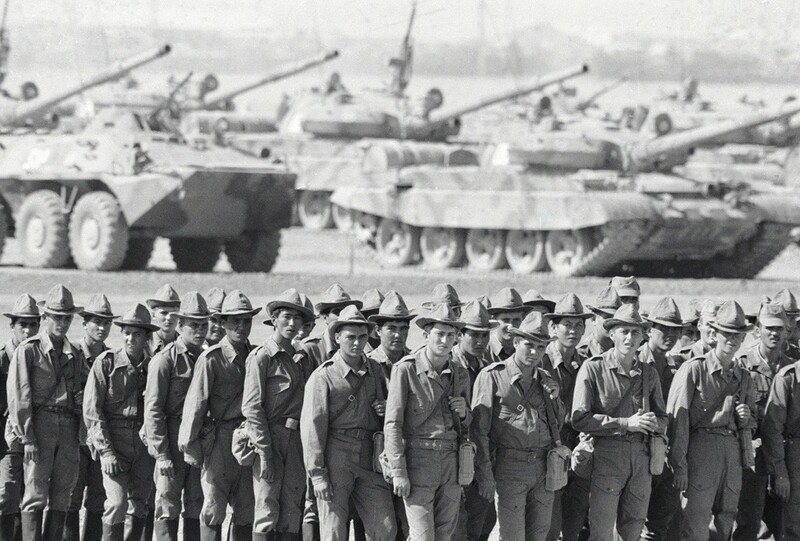 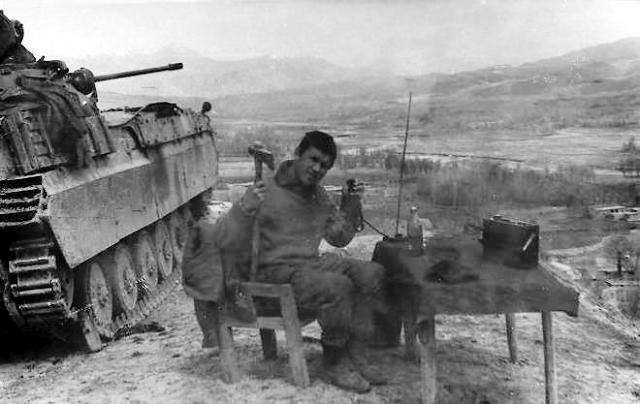 Insurgent groups fought against the Soviet Army and Allied Afghan Forces. 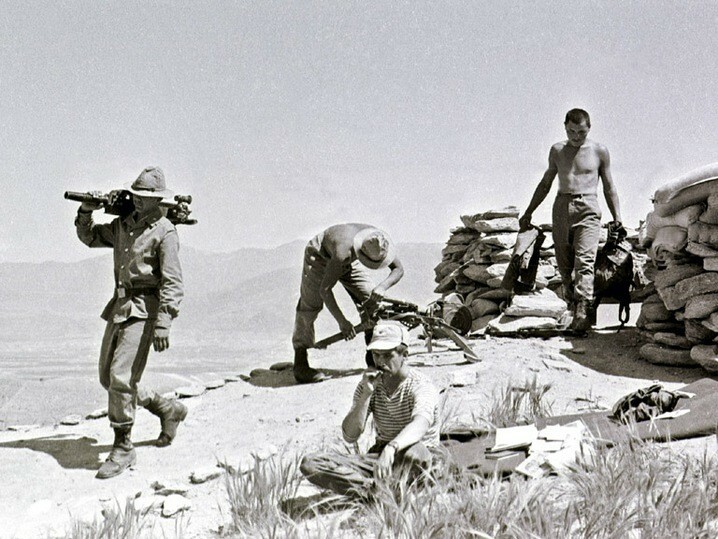 Between 850,000–1.5 million civilians were killed and millions of Afghans fled the country as refugees, mostly to Pakistan and Iran. 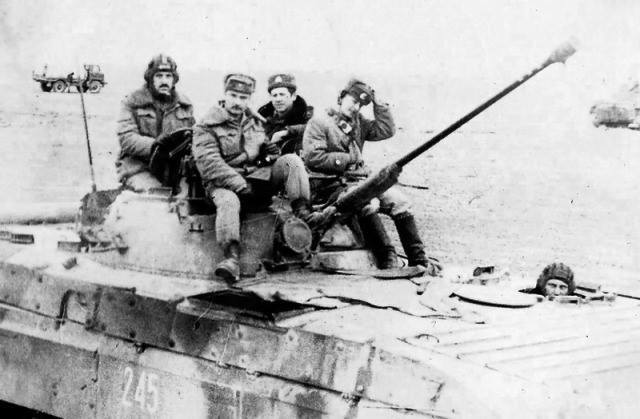 Soviet troops withdrawing with BTRs in 1988. 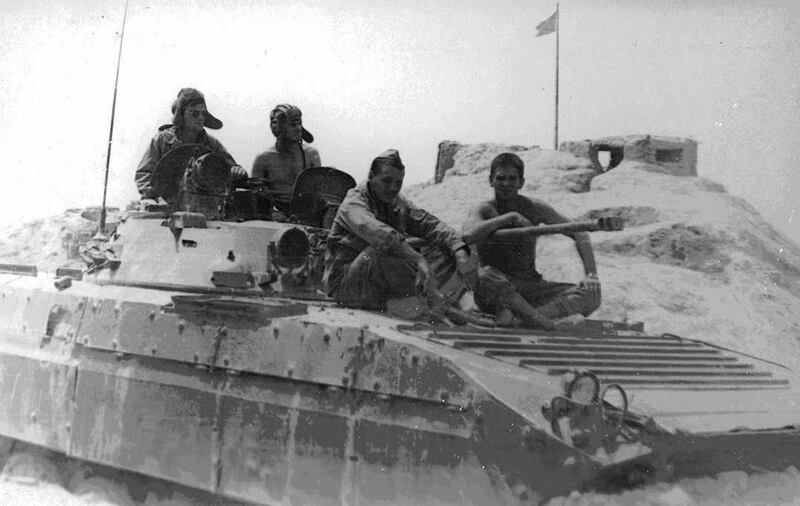 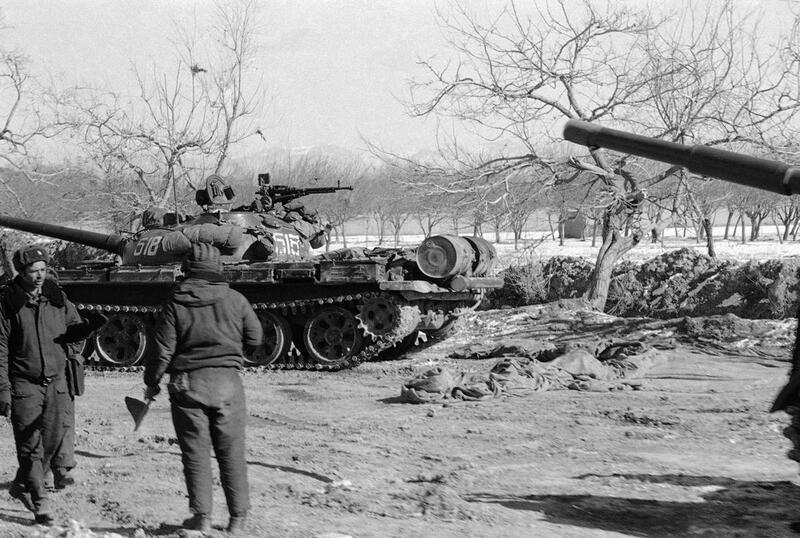 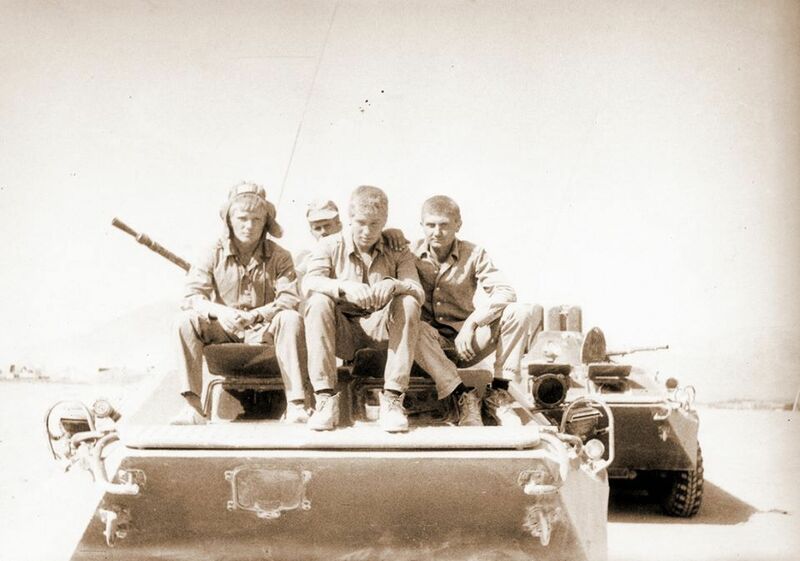 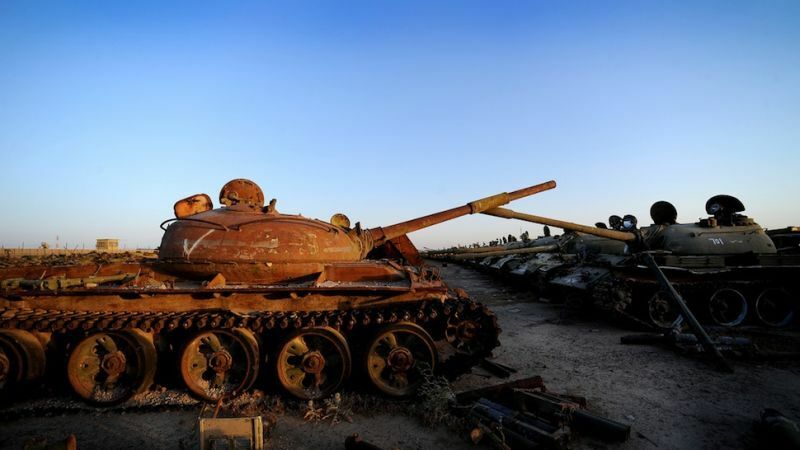 Soviet T-62 tanks from the Soviet-Afghan war near Kandahar. 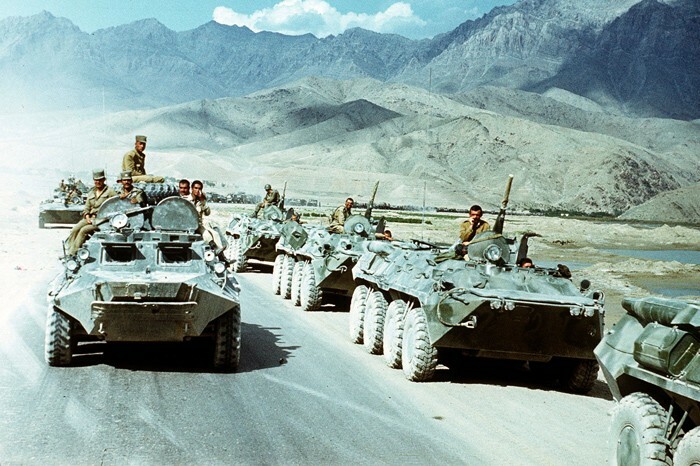 Soviet troops returning from Afghanistan. 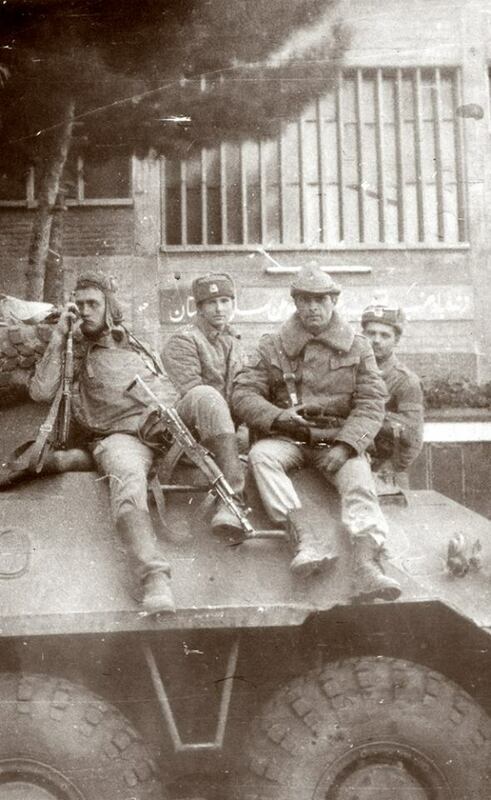 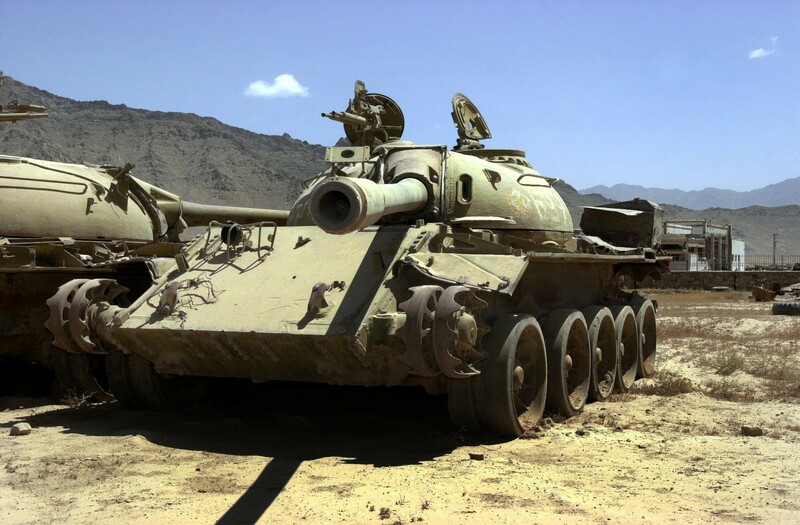 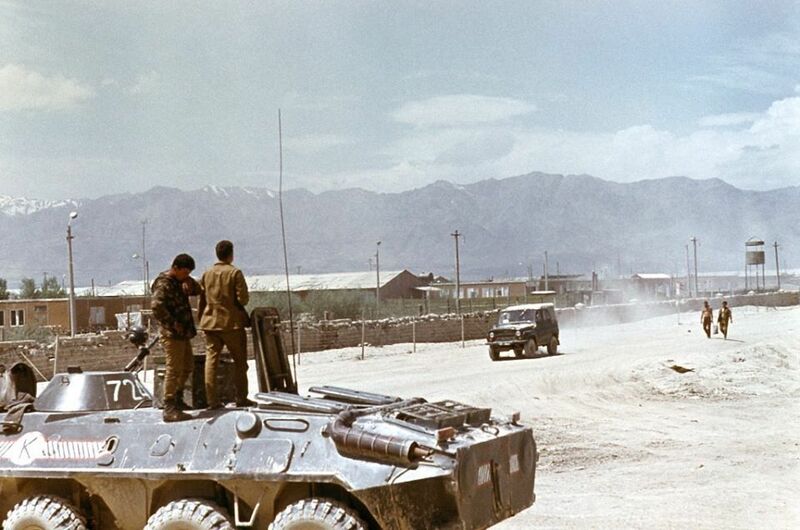 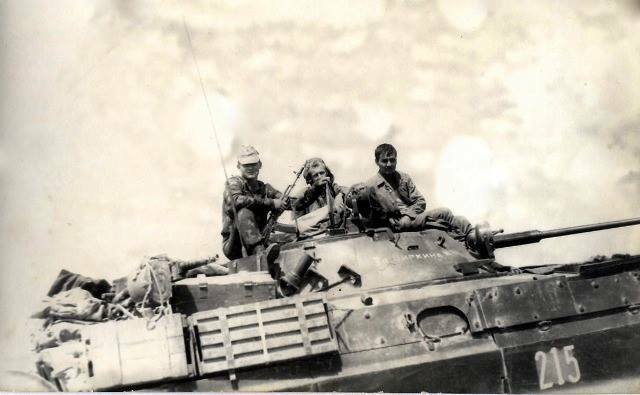 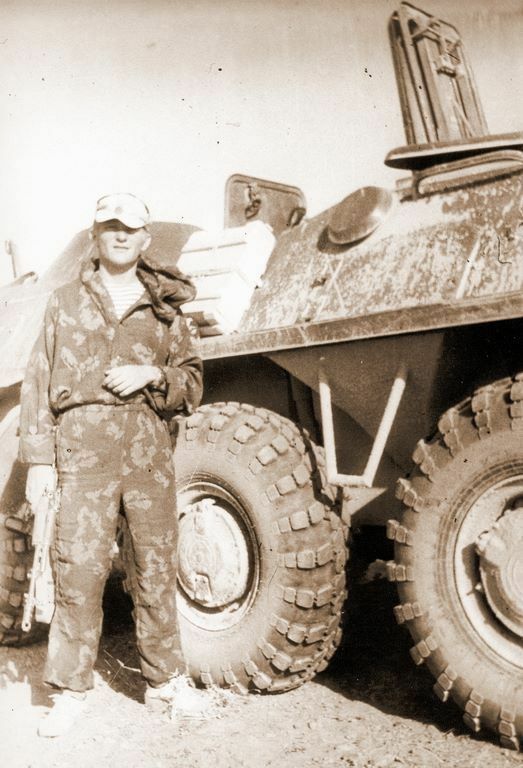 Soviet T-55 in Bagram, left behind after withdrawal in 1988.